When I opened my dragonfly photos in Lightroom, I was quite interested to discover that the two dragonflies that I had photographed were different species. 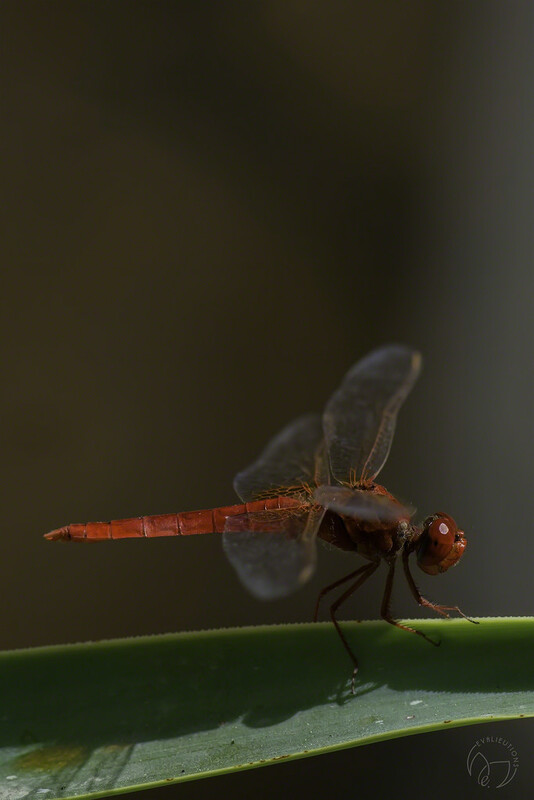 This one is Crocothemis erythraea or Broad Scarlet. The other in my The Other 365 album is Trithemis arteriosa or Red-veined Dropwing. I wonder why they were hanging out on the same plant? I liked this image because the head is in such good focus. the head is like a small jewel. I like the ethereal effect of the wings too. I think this is the first red one I've ever seen - wonderful focus. WOW!! I have never seen a red one before! Incredible capture!